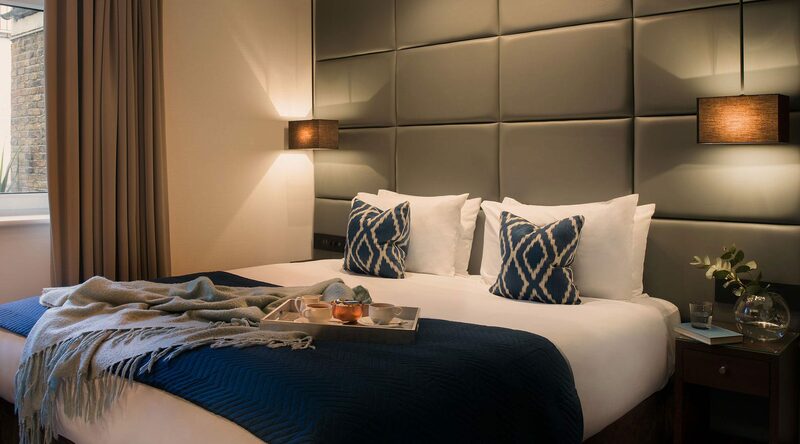 A Restful oasis in the heart of the city, The Chilworth’s 124 bedrooms brim with considered comfort. Thoughtfully designed with calming, neutral tones and natural materials and a sleek, marbled bathroom with an invigorating, vitamin-infused rain shower for healthier hair, skin and nails. Compact and cosy, with all the comforts of the Chamber for two, the single Chamber is ideal for those travelling solo. Luxury means those little touches that put a smile on your face, with every detail thoughtfully considered to make you feel better. This is the luxury of equilibrium as well as indulgence, enhancing your wellbeing from the moment you enter your room. Whether you’re celebrating a special occasion or just stealing away with a special someone, fragrant petals scattered on crisp, white linen is a simple touch that still speaks volumes. So often overlooked, the humble pillow can make all the difference in the quest for good quality sleep. Handpick a pillow that’s perfect for you from The Chilworth’s considered selection. Just stepping into the bathroom makes you feel better. Soak up the goodness of powerful jets infused with vitamin C, knowing every drop neutralises chlorine and enriches your shower with an essential nutrient and anti-oxidant for your hair, skin and nails.